This trilogy is a collaboration between the artist/composer Peter Uhr and the choreographer Anna Asplind. A sunny day in a small boat on the West Coast, outside Koster in Sweden, we got the idea to the project. The process then took us from Koster to Berlin and finally to Iran. The pieces are interdisciplinary and poetry from the different regions, Edward Munchs paiting “Livets dans”,a trinity of colours, and jafar panahi circle are strong references. We focused on the different disciplinary structures and how they relate to each other. The music sometimes become the movements of the dancers, the structure of the movements become the soundtrack to the music or foundation of a video. In the end, it is unclear what came first, the hen or the egg. Together the different disciplines develop and create a unique performance. The three pieces contains newly written music, videos, dance and poetry, they were created and performed in the years 2008 – 2011, in art halls, galleries and traditional theatres. Heavy sounds from the textile industry mixed with political poems by Tahirih which share the space with Harry Martinsson and oriental farces accompanies the performance. Black textiles and white stones polished by the sea effects and obstract the movments of the dancers. The dancers become musicians and the music become dance. The videos have a scenic character and enhance the scenography. Textures is the last piece of the trilogy and was performed at the art hall Lokstallet in Strömstad 2011 and parts of it at the gallery -Able in Berlin 2010. An Iranian choreographer, Modjgan Hashemian, is a virtual dancer in the piece which comments the fact that dance is forbidden in Iran. Textures from anna asplind on Vimeo. Berlin Dancer is a continuation of Megapolis/By the sea and the second piece in the trilogy but with a swift in focus, from the coast in sweden to Berlin. It was performed at Atalante during the 33rd International Film Festival. Videos from the piece were exhibited at Borås Art Museum and at Kalvfestivalen in 2010. Megapolice/By the Sea had its premiere in the art hall, Lokstallet in Strömstad, aug 2009. 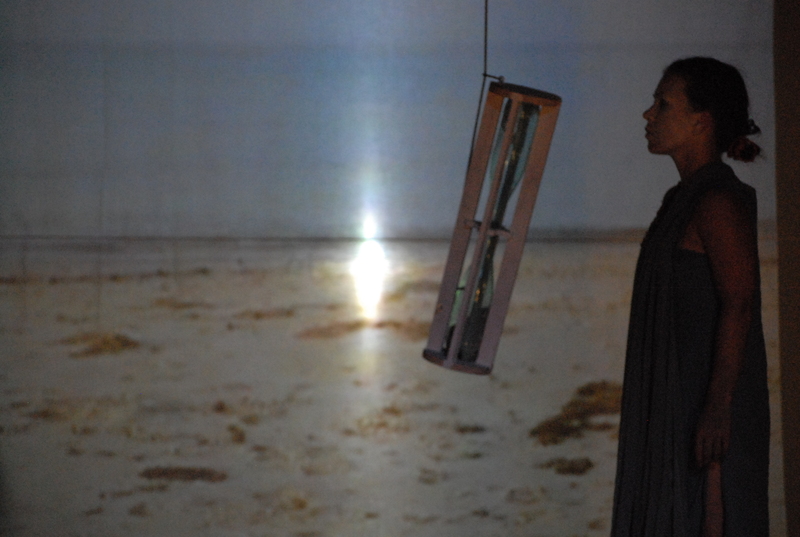 The piece was a site-specific creation which is present in the soundscape, set design and videos. The colors from Edward Munch’s painting, dance of life, white, red and black is reflected in the surfaces on which the dance take place; sand, a red-painted cottage floor and black velvet. Poetry by Harry Martinson is following the dancers through the performance.